Why Is Red Yeast Rice So Controversial? Red yeast rice (RYR) is a dietary supplement that has been marketed as a non-prescription product for lowering cholesterol. RYR has been used in China for centuries both in cooking and to treat circulatory and digestive disorders. However, since it's been used in the U.S. for a much shorter period of time, has generated significant controversy. RYR is a rice product made by fermenting rice with the mold Monascus purpureus. It contains several substances that may reduce cholesterol levels, including beta-sterols, monounsaturated fatty acids, and a statin. The chemical name of the statin that shows up in RYR is monocolin K, but it is known better in the U.S. as lovastatin (marketed as Mevacor). Studies have demonstrated that RYR, as traditionally produced in China and as originally sold as a dietary supplement in the U.S., does indeed reduce LDL cholesterol levels. For instance, in a study of 83 patients with elevated cholesterol, those randomized to RYR had a significant reduction in total cholesterol (204 vs. 338 mg/dL) and LDL cholesterol levels (128 vs. 277 mg/dL) after 8 weeks, compared to those taking the placebo. The controversy, of course, is that RYR contains a naturally generated statin. Statins, according to law, are drugs and therefore are subject to regulation. The controversy began in 1999, shortly after clinical trials first showed that RYR could indeed significantly lower cholesterol levels. At that time the FDA ruled that RYR containing monocolin K was a drug, and thus ordered it removed it from the shelves. Lawsuits ensued, and (after several back-and-forth rulings) the 10th U.S. Circuit Court of Appeals agreed with the FDA. So, in the U.S., RYR can still be sold legally, but only if steps are taken in its manufacturing process to remove the monocolin K.
RYR is still available as a dietary supplement, and it is produced by several manufacturers. 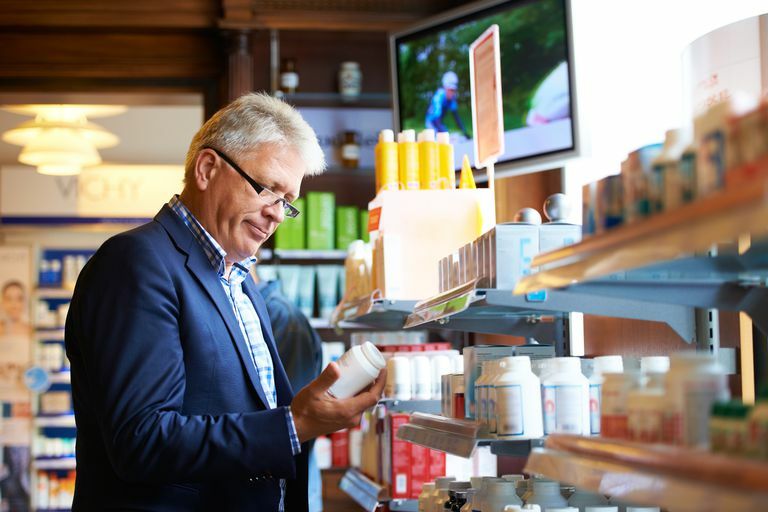 As a dietary supplement, its formulation and content are still not strictly regulated. It is very difficult if not impossible to find out what a particular RYR product sitting on a shelf does contain. In the face of all this confusion, two clinical trials appeared showing that even in the post-FDA period, at least some RYR available in the U.S. is effective in reducing cholesterol levels. In 2009, a study from Pennsylvania showed that in 60 patients who had to stop taking statin drugs because of statin-induced muscle pain, taking RYR and initiating lifestyle changes for 24 weeks significantly reduced total and LDL cholesterol levels, compared to taking a placebo and making the same lifestyle changes. In the 2009 study, the investigators performed a formal chemical analysis on the RYR product they used in their study (from Sylvan Bioproducts in Kittanning, Pennsylvania). They found that the RYR still contained monacolin K as well as eight other monacolins. The result of this chemical analysis suggests two things. First, at least some RYR available in the U.S. apparently still contains at least some lovastatin, and second, even if all the lovastatin were completely removed, other similar chemicals in RYR (which the FDA has not - yet - specifically restricted) may be effective in reducing cholesterol. On the surface at least, taking RYR would seem to be at least a reasonable consideration if you are looking for a non-prescription means of cholesterol lowering. However, what you would really be doing is taking variable and unknown amounts of certain statin-like substances. It is impossible to tell, from manufacturer to manufacturer, or even from bottle to bottle, what you are really buying. If you want to reduce your cholesterol without losing your shirt to the big drug companies, ask your doctor about generic statin drugs. They're readily available, cheap (perhaps even cheaper than RYR), and as a bonus, the dosage you’re getting will actually be known, and can be controlled and adjusted to optimize your results. Halbert SC, French B, Gordon RY, et al. Tolerability of red yeast rice (2400 mg twice daily) versus pravastatin (20 mg twice daily) in patients with previous statin intolerance. Am J Cardiol 2010; 105:198-204. Becker DJ, Gordon RY, Halbert SC, et al. Red yeast rice for dyslipidemia in statin-intolerant patients. Ann Internal Med 2009; 150:830-839. Gordon RY, Cooperman T, Obermeyer W, Becker DJ. Marked variability of monacolin levels in commercial red yeast rice products: buyer beware! Arch Intern Med 2010; 170:1722. Is the Cholesterol Hypothesis Obsolete? Should You Take CoQ10 With Statins?